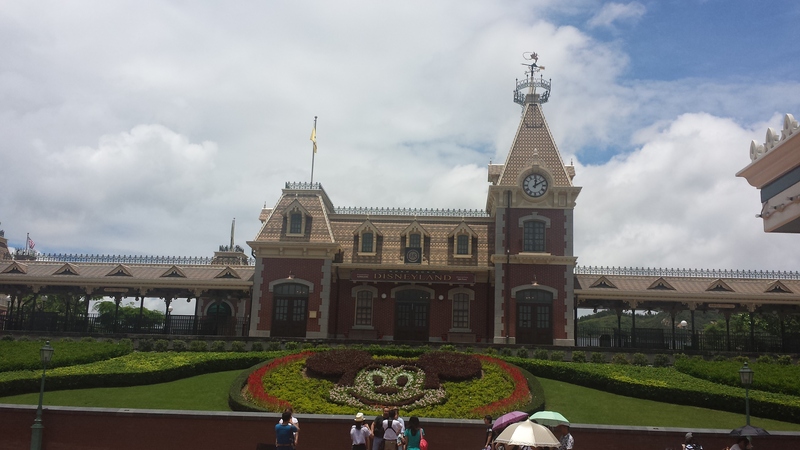 10 Things About Hong Kong Disneyland! 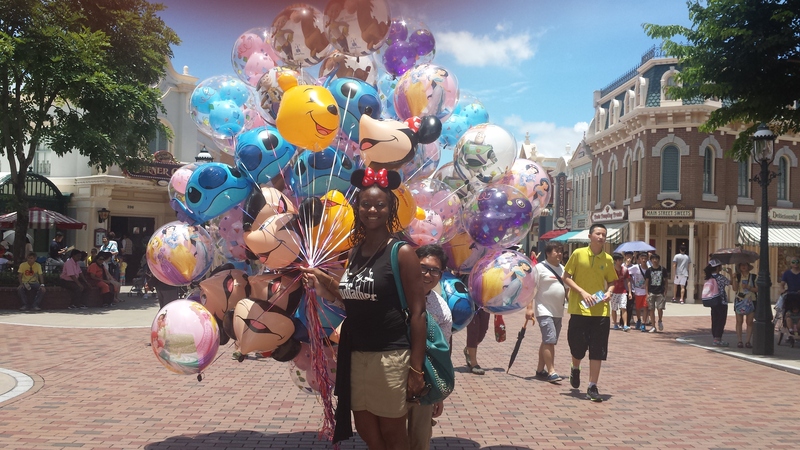 1) It is incredibly nostalgic, especially since one of my best friends growing up, Shay Shay Wells, absolutely adored all things Disney! We even spent one of her birthdays (I think her 16th) at the Disneyland Hotel Anaheim with her sister and our moms back in the 90s. 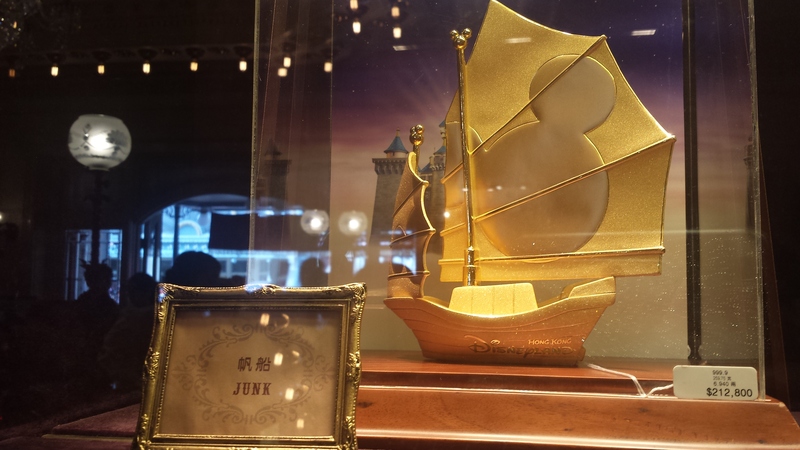 She’s since passed away, but…… Being at DLHK reminded me so much of how it would have made her day to be here. 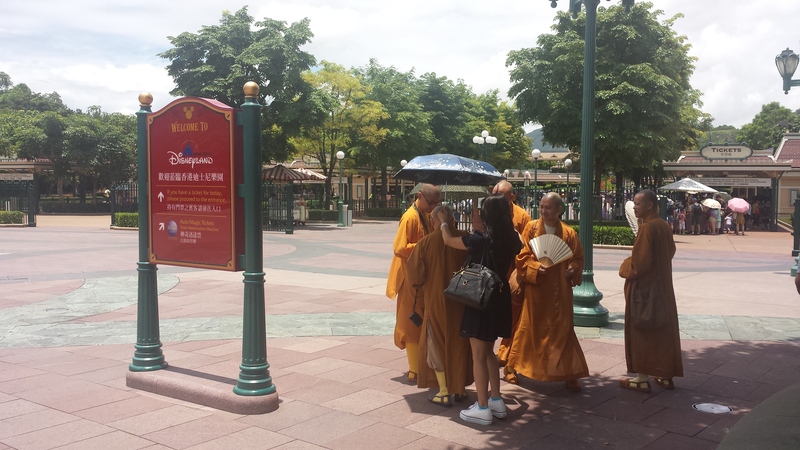 2) I was sooooo tickled by the group of BUDDHIST MONKS I saw around the park. Who knew they love Mickey and Minnie as much as I do! I took pics of them as they were taking a pic of me at the entrance! Later, throughout the day, I continued to chuckle at how excited they were at various attractions like It’s A Small World. 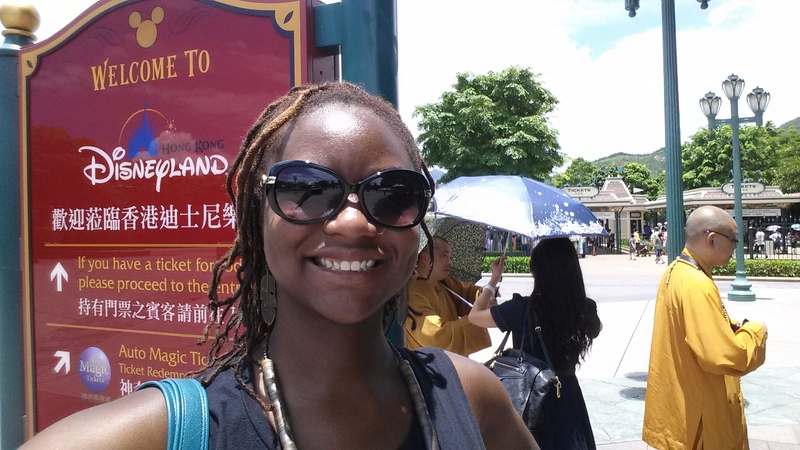 4) I later wondered, upon riding IASW enough times, the degree to which people recognize that human beings of color are truly the MAJORITY worldwide. The ride starts in Antarctica but takes you directly into Europe where you see the British, Spaniards and Italians, but once you move about through the other continents and sections of the world, including the Middle East and the Islands, varying hues of complexion are most prevalent. I know this isn’t NEWS to anyone, but it’s something I find interesting in an exhibit like IASW, and considering that we still live in a time where “white privilege” is rampant worldwide. 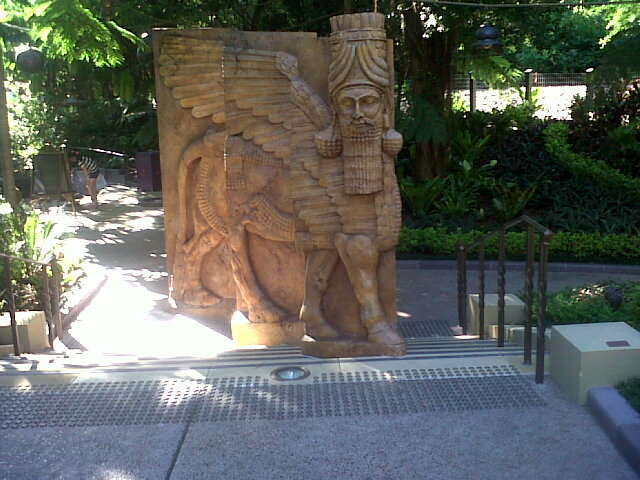 It was incredibly poignant that when passing through Australia, it is the Aborigines depicted, not the British settlers. And while North America is represented with ONE Native American, but TWO southwesterners, a cowboy and cowgirl, it is really interesting to see culture diversified through the eyes of Disney. What does it mean in the grand scheme of things? That perhaps there is a way to expand on cultural awareness and inclusion by further examining It’s A Small World, afterall…! 5) I was hoping, however, to see Tiana, the African American princess heroine of 2009’s The Princess and the Frog, represented SOMEWHERE in the park… If only on the Main Street USA parade float where most of the other Disney princesses were present and accounted for. 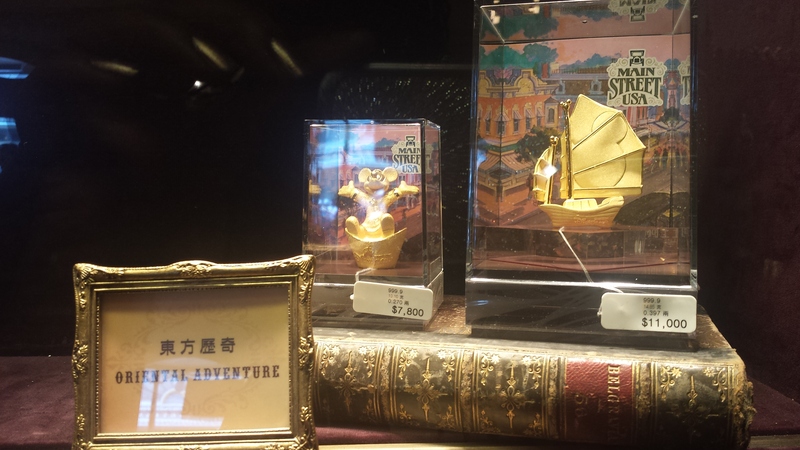 But, alas, Disneyland Hong Kong has not taken the opportunity to incorporate her, nor Mulan or Pocahontas for that matter. I won’t chalk their lack of inclusion up to institutional racism though! LOL! 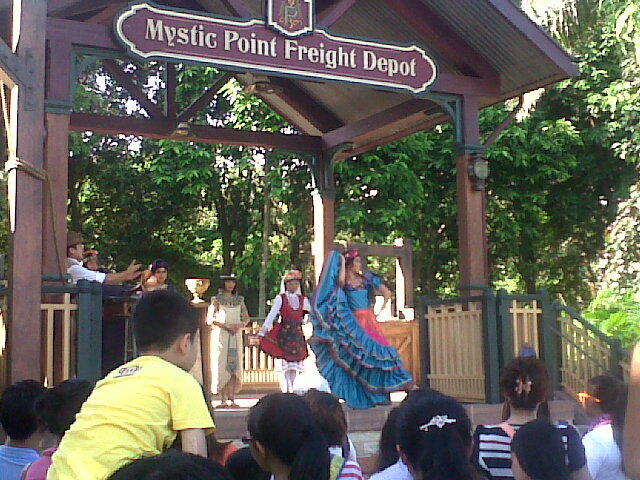 I did notice that many of the entertainers are Southeast Asian, Pacific Islander, and Indian, and was really surprised to see a performer named Araceli representing Mexican folk dancing in one of the other shows. 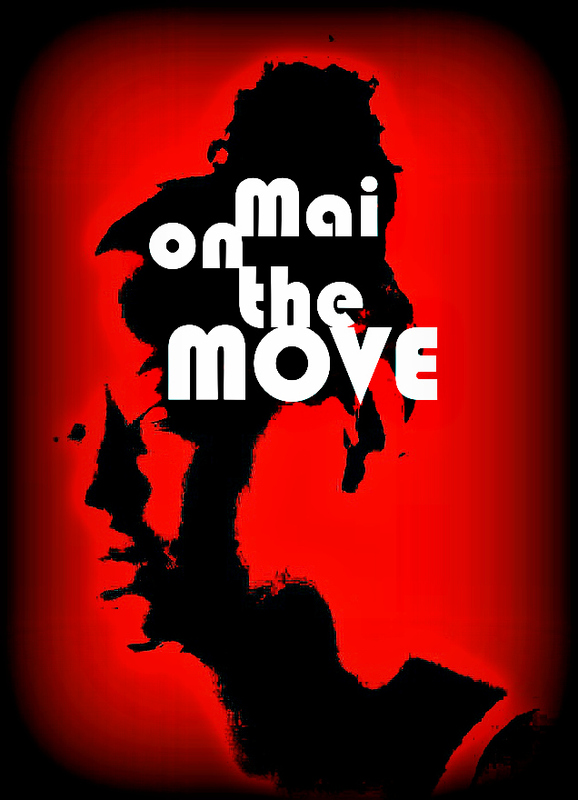 The performance also included an Egyptian queen and a male Native American’s folk dance. 6) When it comes to inclusion, I thought it was great that the Main Street dance team included a teenage BOY whose Disney Channel choreography kept up with the best of them! 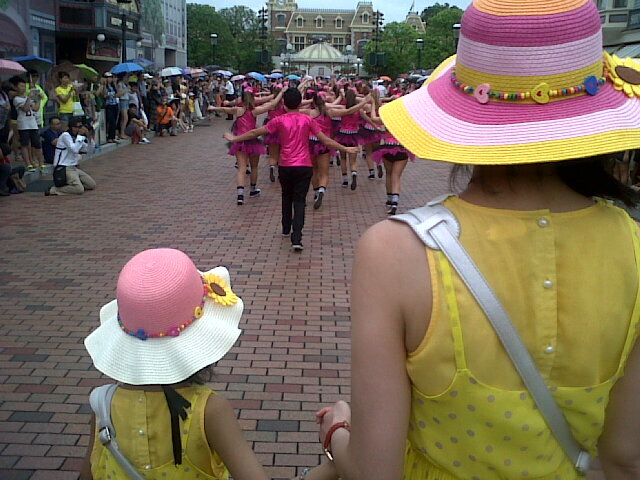 It made me wonder if he was the first male to join the dance team, which otherwise was not very diverse at all. 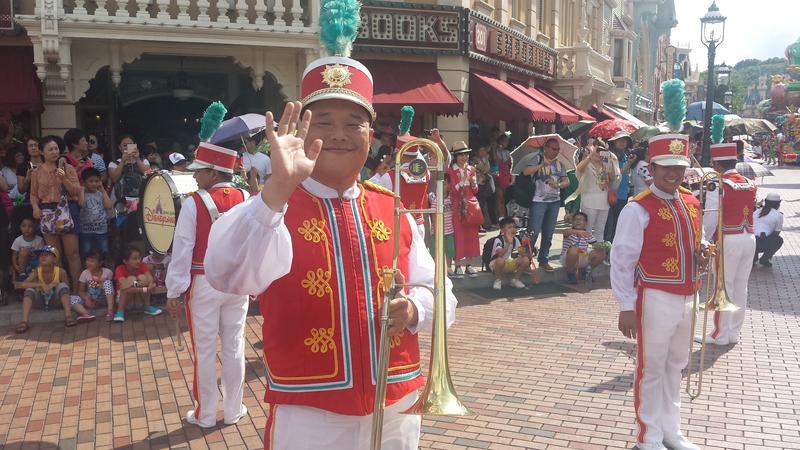 And if his inclusion meant that the team would eventually cast more dancers of color, as I’m sure there are many Asian/Southeast, African/Black, Indian and Latino expats, not to mention NATIVE HONG KONGERS who might like a chance to shimmy up and down Main Street USA! 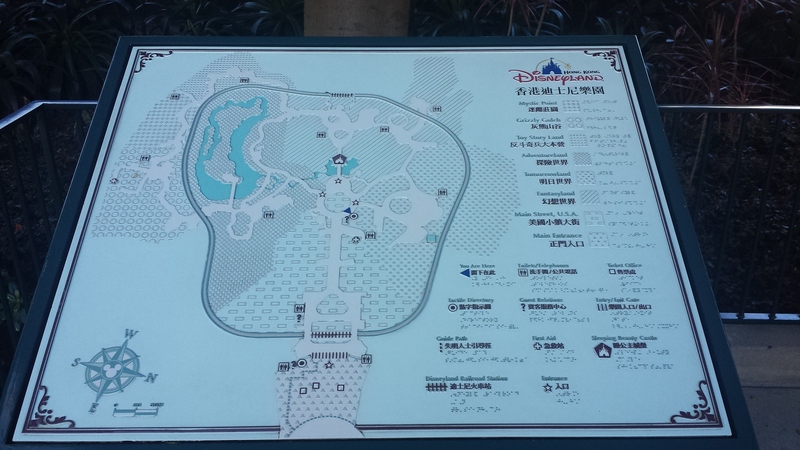 7) I purposely found things that were distinct about DLHK that I have never seen in the original Disneyland. 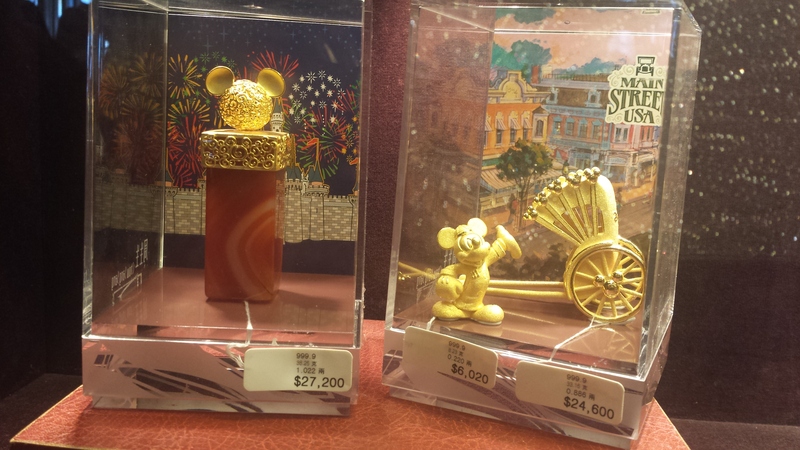 For example, I found it interesting to see Chinese influences in the solid gold Mickey of the orient and golden junk boast. 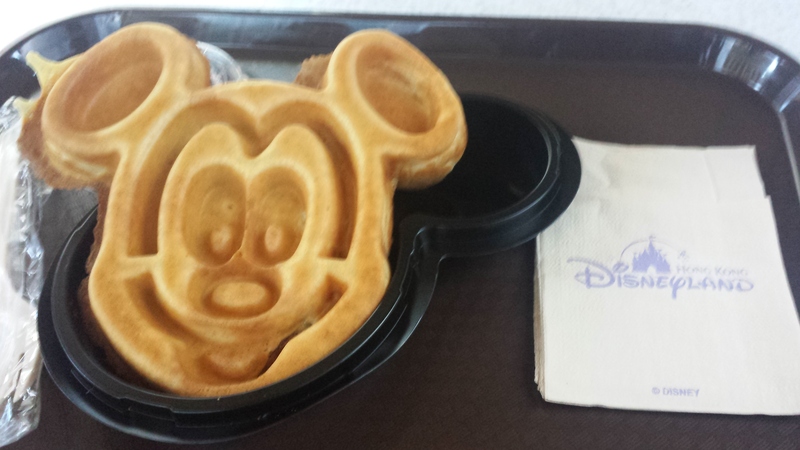 8) I don’t recall seeing Mickey Waffles in Disneyland Anaheim either, but that very well could be something that was later added to options for eating in Disneyland themeparks worldwide. 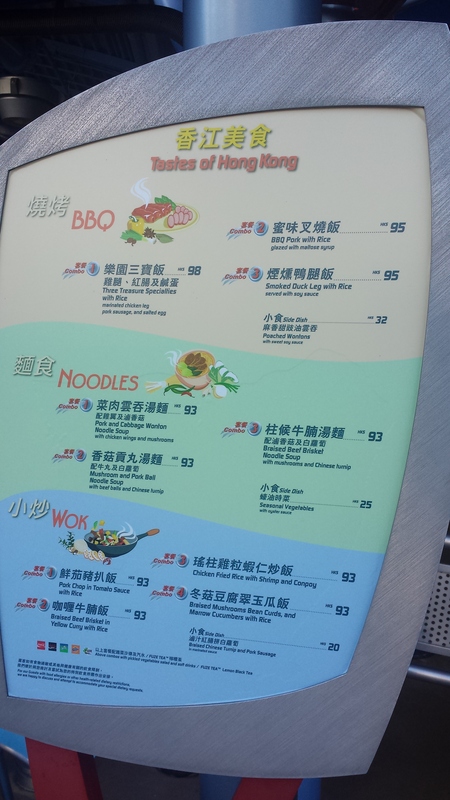 The Chinese food menu, however, was a surprise to see! I didn’t order any of the delicacies, but given the amount of mainlanders who visit, I’m sure this is a welcomed option for eating. 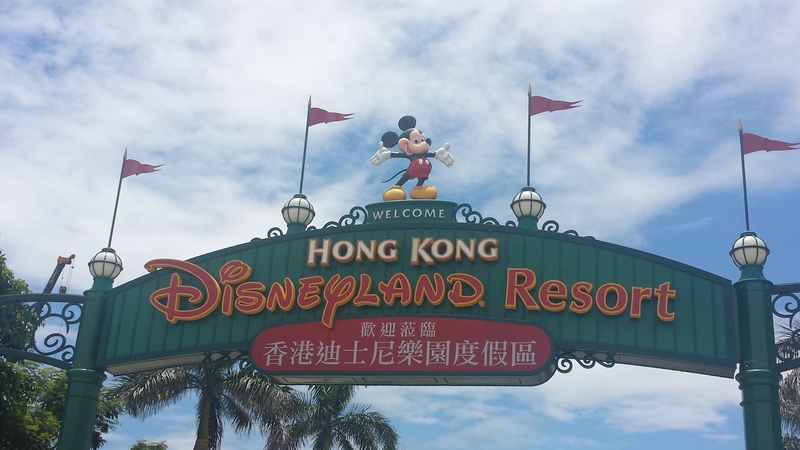 9) The DLHK park is a lot smaller than the original Disneyland as well as the Disneyworld Resort in Florida, and it made me wonder how it rated in comparison to EuroDisney in Paris. 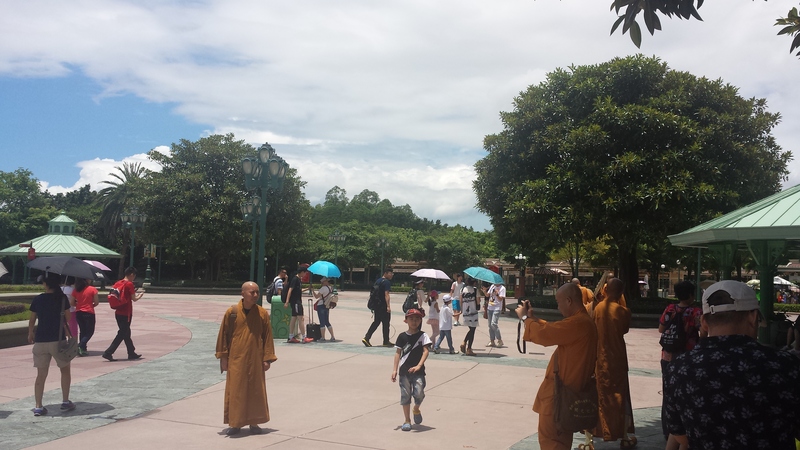 I haven’t gotten around to looking at solid numbers and reviews, but I say that it’s pretty cool to have a taste of Disney to consider in Asia. I look at it like an intimate venue for all things authentically Magic Kingdom! 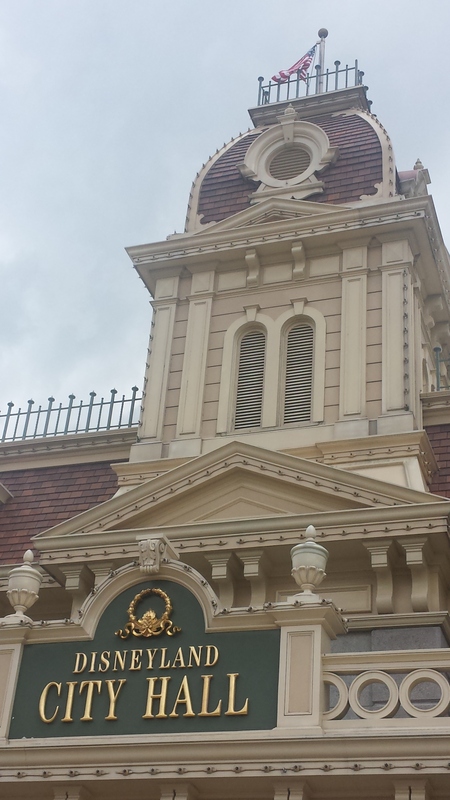 It was also surprising to see the American flag waving atop Disneyland City Hall on Mainstreet USA, and it made me wonder if the US Consulate of Hong Kong actually owns the property on which Disneyland sits thereby enabling the Stars and Stripes to be flown. Something else to further look into, I suppose! 10) At the end of the day, I’m really glad I got a chance to visit this pocket of wonderfulness which ended up being more of a case study than I expected! 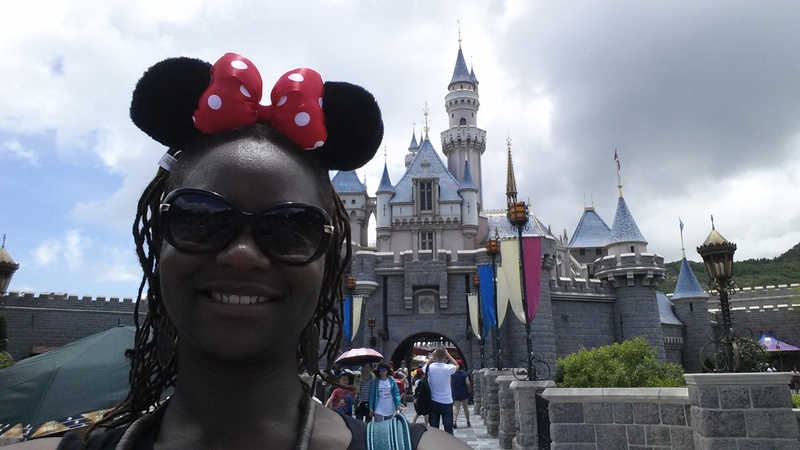 The social scientist in me has really analyzed everything there is to about the themepark! But I thoroughly enjoyed myself in the process. Since I didn’t get a chance to stay for the fireworks that happened after nightfall, I may have to make one more trip out to Lantau Island for another day at DLHK!